And you need to convert the ticket you purchase for a train ticket at the location (from what I understand). Again not an idea setup. The advantage for the train is that it is very quick if you time things right (and there are not delays). The huge drawback is there are few trains can therefore have long waits. Taking the bus is much safer, in that they are always about ready to pull up and take on new passengers. 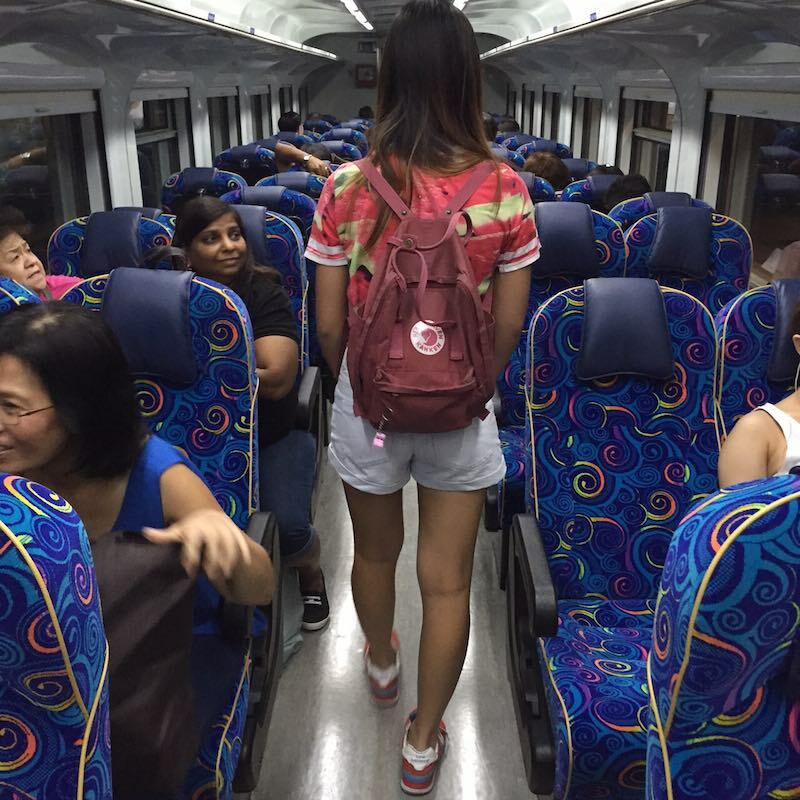 I have another post about taking the bus from between Singapore and Johor Bahru. The problem is things can get really slow taking the bus when traffic is bad (when busses and cars are barely moving over the bridge – it can take over an hour, and even much longer sometimes, to get a bus and get over the bridge). In Johor Bahru if you realize the train will be a very long wait it isn’t a long way to go catch the bus – maybe a 10 minute walk. I am not sure what the situation is from Singapore (last time I was there you couldn’t take a bus from Woodlands but maybe that changed). If that hasn’t changed I imagine in Singapore the fastest way would be to take a taxi from Woodlands to Kranji MRT (where you can catch a bus to JB). 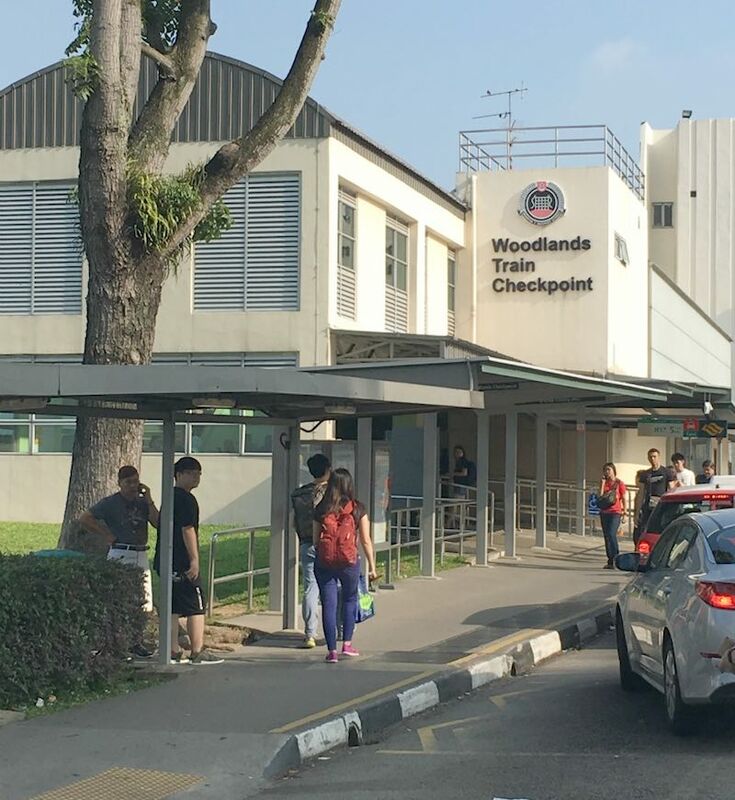 Once you pass through customs into Singapore you can walk to catch a bus (or taxi or get on the MRT). This didn’t used to be true. From JB once you pass through customs you have always been able to walk to a bus, taxi or City Square Mall and Kotomar Mall. With the recent increase in fees from driving cars between the two countries more people are likely to try out the bus and train options (each county has added a fee for cars not licensed in their country). Hopefully that will result in more trains being added to the schedule. Very useful post! I was searching for info like this! Hey Agnes, where you able to book and catch the train from SG to Johor Bahru? This is very useful specially for first timer in Singapore. This kind of blogs really delights me deeply. Thanks for sharing with us.